The Time Lords’ search for Compassion has finally ended. Surrounded by a fleet of war-TARDISes, the Doctor still refuses to surrender, but as he tries to shake off the pursuing Time Lords, Compassion finally discovers her built-in weapons systems and destroys two TARDISes before the Doctor can stop her. He finally regains control of her navigational system and makes what he thinks is a random jump in time and space -- but just as she materialises, Compassion goes into spasm and expels him, Fitz, and her shattered Randomiser into what appears to be a corridor made of solid bone. She then goes into a state of shock, and before the Doctor or Fitz can help her they are chased away from her body by giant, living spiders carved from bone. As they flee, the Doctor finds a door with roundels on it, and he and Fitz pass through -- but Fitz ends up alone, in the middle of a group of youths apparently conducting a Satanic ritual. The Doctor, meanwhile, finds himself on the plains of outer Gallifrey, where Father Kristeva of Faction Paradox appears to him and tells him that he is infected with the Paradox biovirus. Soon he will belong to them -- and as a new agent, they have a mission for him. When Fitz materialises before the youths, Kellen accuses the coven leader Ressadriand of smuggling in a lowlife to give them all a shock. The beautiful Tarra plays along, claiming that they have summoned one of the loa, and Fitz realises that the youths are conducting Faction Paradox’s voodoo rituals. Kellen, amazed when Fitz claims to be from Earth, uses a Time-Space Visualiser to forecast his future, and Fitz is disturbed when it displays an image of a 2000-year-old armoured man with a single arm. Tarra leaves the others to prepare the next ceremony, and takes Fitz with her to a secret access port where she can hack into the Matrix and steal the biodata codes for Greyjan the Sane, Gallifrey’s briefest-serving President and the so-called Sage of Paradox. Fitz finally realises that he’s stranded on Gallifrey, home of the Time Lords whom the Doctor has been desperately trying to avoid. The Doctor is captured by the Time Lords and interrogated by Castellan Vozarti and Vice President Timon, who tell him that a massive structure made entirely of bone has recently appeared in the sky over Gallifrey. The Edifice is warping space-time about itself, and cannot be destroyed for fear of unleashing forces which could tear apart this whole sector of space -- but analysis has shown that it is primed to the Doctor’s biodata and will only allow him to enter. The Doctor warns Timon that he has been marked by Faction Paradox, and agrees to help investigate the Edifice in exchange for a chance to use the Time Lords’ resources to free himself of his taint and find some way of breeding sentient TARDISes without forcing Compassion to act as breeding stock. President Romana takes time out from preparing for her Reaffirmation Ceremony to welcome him back, but 150 years in power have changed her beyond recognition, and there seems little left of his old friend in her. Nevertheless, the latest analysis of the Edifice shows that it seems to be anchored in two causalities, causing ripples of temporal uncertainty which are plunging Gallifrey into an age of superstition, and the Doctor has little choice but to investigate. The first thing he tries to do is access his own records in the Matrix to locate an untainted bioprint, but Tarra detects his presence and erases his bioprint, supposedly as a prank. The Doctor emerges from the Matrix, unsure who he encountered or why she was taking a record of Greyjan the Sane’s biodata. He suspects that Romana’s agents are responsible for erasing his records from the Matrix, as he will now be forced to return to Compassion to find a copy of his untainted bioprint and cure himself. As he confronts her, however, the technician Nivet reports that his scans of the Edifice are now complete, and that in a four-dimensional topography it takes on the shape of a Gallifreyan Flower of Remembrance, an omen of death. The Doctor feels an inexplicable wave of fear and queasiness when he sees the Edifice, and unguardedly lets slip that Compassion is aboard -- just the mistake Romana has been waiting for. She orders Vozarti to storm the Edifice, using the Doctor to get aboard, but the Edifice lashes out at the temporal probes which have been irritating it -- and the Doctor, Vozarti, Nivet and several others are instantly transported aboard. Aboard the Edifice, the Time Lords find themselves trapped inside a locked cell -- but the doors open at the Doctor’s touch, and only Lady Mali has the presence of mind to follow him through before the doors slam shut behind him. The corridors of the Edifice are riddled with temporal distortion, and the Doctor points out that from a certain topographical perspective the Edifice resembles a giant spider’s web. A door in the corridor opens up onto a blasted heath where the Doctor and Mali find the calcified Compassion buried in the landscape. In the distance, a shimmering temporal distortion surrounds a wooden structure, where, to the Doctor’s horror, all of the millions of butterflies from his old TARDIS’s butterfly room are pinned to the doors and are crumbling into dust. Inside, they find the warped remains of what appears to be a TARDIS console, and the dancing motes of dust in the room take the shape of the Third Doctor’s face -- final proof that the Edifice is in fact the Doctor’s old Type 40 TARDIS, thought to have been destroyed on Avalon. Fitz watches helplessly as the coven attempts to summon the 2000-year-old man from the Vortex, but when it becomes clear that the manifestation will require something to stabilise it, Tarra deliberately kills one of the coven members and throws her into the blazing fire. As the others scatter in terror, Tarra finally reveals herself to be an agent of Faction Paradox, and Kellen realises that, far from being a bit of illicit fun with the dark arts, the coven has been used for an evil purpose. The man from the Vortex materialises, and Tarra greets him as Father Kreiner -- the original Fitz Kreiner, who joined Faction Paradox after the Doctor abandoned him in Geneva, and who was cast into the Vortex on Dust and placed in the bottle Universe by I.M. Foreman. He was freed from the bottle when the Time Lords did something rather foolish with it, and now at last he will have his revenge on the Doctor. He regards Fitz as an ersatz copy of himself, but decides not to kill him; instead, he will let Fitz live, to see the truth about the Doctor for himself. The Time Lords trapped on the Edifice are attacked by the bone spiders, but Vozarti and Nivet manage to shoot their way free of the cell and make their way to the heath. There, they find the calcified Compassion and meet Ressadriand and Eton, but as the furious Vozarti demands to know why his son is dressed in the robes of a Faction Paradox initiate, the bone spiders attack again. Eton and Vozarti are killed, Ressadriand flees in terror, and Compassion takes Nivet inside herself, sensing that he is a technician who can help her heal. Nivet manages to take control of her outer “shell” and walks her to the wooden structure, where they are reunited with the Doctor and Mali. As they now have the Type 102, Mali concludes that her mission is accomplished and prepares to kill the Doctor to prevent him from betraying them to the Faction; the Doctor, however, has worked out what is happening, and insists that there is another way. When the Faction changed his timeline and he regenerated incorrectly on Dust, his TARDIS sensed that things had gone wrong and took the infection upon itself. Ever since then, it has been holding the infected timeline at bay. When it was torn apart in Avalon, it located some other source of energy to sustain itself; however, it is barely holding onto its existence, and its attempt to contain two timelines within its shattered frame is causing the temporal distortions which are affecting Gallifrey. Nevertheless, thanks to the Edifice, the Doctor’s infection by the Paradox virus is only potential, not total; they still have the opportunity to fix the timelines by preventing the Doctor’s false regeneration on Dust. Mali, unconvinced, attempts to kill him anyway, but Compassion expels the Doctor from her while keeping Mali and Nivet locked inside. Despite the Doctor’s reluctance to know his future, Compassion uses her link with the Edifice to show the Doctor that its existence will cause the War, an endless battle through all time and space with a featureless Enemy, which will turn the Time Lords into dehumanised monsters and wreak havoc throughout history. Having shown the Doctor his responsibilities, she attempts to flee from the Time Lords once again, but Nivet overcomes the block on her navigational system and tries to direct her back to the TARDIS berthing cradles on Gallifrey -- although he too is beginning to understand that she is more than a mere machine. When Compassion continues to resist, the Time Lords send another squad of war-TARDISes after her, but in desperation she lets out a psychic scream of such force that every TARDIS on Gallifrey shuts down. At the last moment, Nivet manages to materialise back on the Edifice, where Compassion is shielded from the effect of her own cry. The Doctor meets the fleeing Ressadriand and saves him from the bone spiders, extensions of the TARDIS which were intended to alert the Edifice when help arrived but which have gone out of control over the long, agonised millenia of waiting. When the Doctor learns that Ressadriand had foolishly been conducting forbidden rites of Paradox in order to impress the girls at the Academy, he furiously uses his own growing Paradox infection to contact Father Kristeva and demand an explanation. In his rage, however, he forgets that his presence is the only thing saving Ressadriand from the spiders, and realises too late that by stepping out of time to speak with Kristeva he has left Ressadriand to them. The only way to save him now is to change the past, but this will bring the Doctor even further under the Faction’s control. Kristeva departs, leaving the devastated Doctor alone with the dead Ressadriand as Compassion materialises. Greyjan is reinvested as President, and accesses the Matrix, telling Timon that he needs to bring himself up to date. He flies into a panicked rage, however, when he learns that the Time Lords stole I.M. Foreman’s bottled Universe and put it in the space-time vortex near Gallifrey, intending to use it as a bolthole should they ever need to evacuate their homeworld; everything Greyjan originally killed himself to escape is now about to occur. The Doctor and Mali arrive just as Greyjan reminds the horrified Timon that a four-dimensional Klein bottle only remains closed in three-dimensional space; in the space-time vortex, the bottle has only one side, and its contents have thus been released. In his former life, Greyjan had studied the origins of life in the Universe, and he had come to believe that all living beings were descended from a single ancestor cell, something too ancient and alien to comprehend. Ever since the Time Lords first began to travel through time, the temporal decay created by their meddling with history has drifted back in time to irradiate these organisms -- and now, the ancestor cells will be attracted to Gallifrey itself by the outpouring of energy from the broken bottle. The Doctor’s old TARDIS has latched onto this energy to sustain itself, and is creating temporal instability by anchoring itself to two timelines at once. The ancestor cells will interpret this as an attack and respond in force -- launching the first strike of the coming time war. They are the Enemy, and the Doctor is responsible for starting the War. Their investigation having failed to pan out, Romana and Fitz attempt to rejoin Nivet and Compassion, only to find that Tarra and Kreiner have captured them. The biodata codes programmed into Compassion when she was a member of the Remote enable Tarra to control her, and she thus freezes Compassion in place and leaves Fitz and Romana imprisoned with her while Tarra and Kreiner supervise the final stages of their real plan. When Tarra reconstituted Greyjan, she reprogrammed his biodata, and without realising what he is doing he has been reprogramming the Matrix to accept Faction Paradox’s commands. The Doctor realises too late that he has been tricked. Kristeva had told him that the Edifice was a weapon aimed at Gallifrey, and he had thus agreed to find a way on board, hoping to betray the Faction, disable the Edifice and save Gallifrey. In fact, his presence aboard his old, dying TARDIS has caused temporal fluctuations which have attracted the attention of the Enemy, and the first strike of the War is approaching Gallifrey as they speak. Faction Paradox intends to channel the energy of the attack through the compromised Matrix and use it to overlay their Shadow Parliament on Gallifrey; the Eleven-Day Empire will be relocated to the Capitol, and Faction Paradox will become the new Lords of Time. Compassion breaks free of Tarra’s restraining codes and releases Romana and Fitz. The Enemy’s first strike then hits Gallifrey, killing millions, and Compassion flees to the Edifice to shelter. Kreiner and Tarra prevent the Doctor from disconnecting Greyjan from the Matrix, and as Kreiner finally identifies himself to the horrified Doctor and begins to beat him to death in a fit of rage, the energy wave from the Enemy’s attack floods into the Matrix, incinerating Greyjan and giving Faction Paradox control. The Shadow Parliament appears in the Time Lords’ Council Chambers, and Grandfather Paradox himself appears in the Speaker’s Chair. He is a future version of the Eighth Doctor -- one who succumbed to the Paradox infection, and who has become the embodiment of all that is evil about Faction Paradox. His arrival apparently tips the balance of the timelines, causing the Doctor himself to succumb to the Paradox infection at last. Romana, Fitz and a squadron of loyal guards attempt to storm the Council Chambers, but only manage to rescue Mali. Romana takes them all to the Slaughterhouse, a stable time eddy where the Time Lords store their weapons of mass destruction; whatever the cost, she will not let Faction Paradox conquer Gallifrey. Meanwhile, the Doctor pilots Tarra and Kreiner to the Edifice in Compassion, apparently planning to give the Faction control over the timelines at its core. Kreiner demands a moment alone with the Doctor, and reveals that he knows the Doctor is shamming his co-operation; he has burned through all of his anger, however, and now Kreiner just wants the Doctor to change his past and save him from the last, horrible two thousand years of his life. As Romana’s followers attack the Faction on Gallifrey, Tarra sends Compassion back to act as a living, indestructible shield, but then realises that the Doctor and Kreiner are attempting to betray her. She shoots Kreiner in the chest, but the Doctor then throws her out of the wooden control room and she is killed by a bone spider in the heath outside. But before the Doctor can do anything further, Grandfather Paradox appears, kills Kreiner for his betrayal, and turns on the Doctor. With Compassion as a shield, the agents of Faction Paradox manage to hold off the Time Lords’ attack until the Matrix succumbs to the Paradox virus. All of Gallifrey thus succumbs to Paradox, and Romana finally realises that the changes in the Panopticon which Fitz tried to warn her about were foreshadowings of a catastrophe echoing back from the future. Gallifrey really has fallen, and she can do nothing about it. Shattered, she and Mali retreat to the Presidential TARDIS, the only working TARDIS on Gallifrey, hoping to escape. On the Edifice, Grandfather Paradox appears to have triumphed; the Faction’s battle fleet is moving in to take possession of their new home, and it is only a matter of time before the Doctor succumbs to his infection. But the Doctor has one last, devastating option left to him. By firing his ancient TARDIS’ weapons systems, the ones which Compassion had incorporated into herself and used to such devastating effect earlier, he will drain the last of the energy holding the TARDIS together, causing it to collapse. This will resolve the timeline paradox -- one or the other will become real, for good -- and it will also release an incalculable amount of energy, destroying not only the Faction Paradox fleet, but Gallifrey as well. To Grandfather Paradox’s horror, the Doctor presses the button, destroying his home planet. This novel resolves the War storyline which began in Alien Bodies, at least insofar as the Doctor Who universe is directly concerned. The story of the War, as it was (or would have been) before these events erased it from the Doctor’s timeline, continues in the spin-off series Faction Paradox. Back in Lungbarrow, it was said that Gallifrey had a unique relationship with Time. By The Adventuress of Henrietta Street, it’s become clear that Gallifrey’s destruction effectively means that the Time Lords no longer exist in the Universe, and never have. In The City of the Dead, we see that it is now much easier to use magic in the Universe. Though the Time Lords have been effectively erased from the Universe, the Doctor meets a child and her guardian in Timeless, and it’s strongly implied that they are his own people; however, Sometime Never... suggests that “Which own people?” may be a legitimate question. Iris Wildthyme is still around, as revealed in Father Time and Mad Dogs and Englishmen, but her relationship with Gallifrey has always been rather odd. 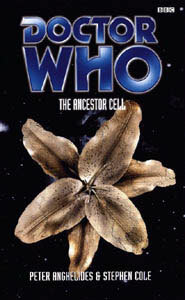 A figure who may be the Master appears in The Adventuress of Henrietta Street, and informs the Doctor that there are only “four of us” left; the identities of those four, plus a fifth, are revealed in The Gallifrey Chronicles. The Doctor remains stuck on Earth for the entire 20th century as the TARDIS slowly heals, which it does just as he is reunited with Fitz in Escape Velocity. The real reason for his amnesia is revealed in The Gallifrey Chronicles. Fitz has known since Interference that he is effectively a copy of the original Fitz Kreiner, but only in this novel does he learn that the original is still alive. He subsequently experiences an identity crisis in EarthWorld, but seems to have come to terms with it since then. About the spiders. The Doctor’s infection by the Paradox virus occurred when his eighth self inadvertently crossed his own timeline in Interference and changed his past, as a result of which his third self travelled to the planet Dust and was shot, triggering his regeneration. (Deep breath now: the Doctor changed his past because of his infection by Paradox biodata, which occurred because he changed his past. Hence, “paradox.”) In the original, less bewildering timeline, his third self regenerated as a result of his battle with the giant spiders of Metebelis 3 in Planet of the Spiders. As his damaged TARDIS was devoting the last dregs of its energy to keeping the original timeline in existence, this is presumably why its defence and communications systems took on the form of the Third Doctor and of giant spiders. Reference is made to the Dalek invasion of Gallifrey in The Apocalypse Element. It is strongly implied in The Gallifrey Chronicles that Romana and Mali are killed by Faction Paradox skulltroopers, but for reasons revealed in that novel, that doesn’t necessarily mean they end up dead for good. In Tomb of Valdemar, there is an appearance by an old woman who appears to be a future incarnation of Romana. In the Ninth Doctor TV series, the episode The End of the World reveals that Gallifrey has been destroyed and that the Doctor is the last of the Time Lords. However, the destruction of Gallifrey in this novel is not the event they’re referring to. For further information, see The Gallifrey Chronicles. Shortly before Ressadriand dies, Kristeva taunts the Doctor with other companions he has lost, including Katarina (The Dalek's Master Plan) and Adric (Earthshock).